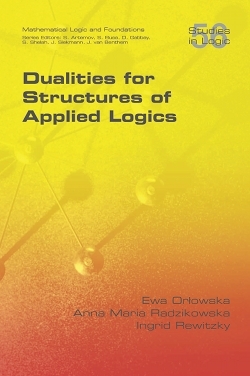 This book provides a framework for presenting algebras and frames arising as semantic structures for formal languages and for proving relationships between the structures. For this purpose a discrete framework, referred to as discrete duality, is used rather than a topological framework. Ideas from the classical dualities and representations of Stone, Priestley, and Urquhart are applied in such a way that topology is not part of any of the underlying structures or relationships. A key contribution of the book is the formulation of the concept of duality via truth for expressing that a class of algebras and a class of frames determine equivalent notions of truth for a given formal language. Discrete duality and duality via truth are applied to a wealth of case studies presented in three main parts, namely, classes of Boolean lattices, distributive lattices, and general, that is not necessarily distributive, lattices, respectively. The book is self-contained and all the results are proved in sufficient detail enabling an easy verification.